THE EDEN HAS FALLEN TO A GOOD HEIGHT AND ALL OF THE COLOUR HAS DROPPED OUT. THE WEATHER IS OVERCAST AND BREEZY. Following a much needed flush some days ago the river has now dropped to a perfect level. A great day to try for a wild brownie or two. THE RIVER HAS DROPPED RIGHT OFF IS NOW AT A NEAR PERFECT LEVEL WITH A TINGE OF COLOUR IN IT. THE WEATHER IS DRY AND SUNNY. P.S. SORRY FOR THE LATE REPORT YESTERDAY, HAD A FEW TECHNICAL PROBLEMS. I.E. COMPUTERS HATE ME!!!!! Conditions good. Still a tinge of colour in the water which is slightly above normal. Good conditions expected over the weekend. THE EDEN HAS DROPPED QUITE A LOT SINCE YESTERDAY AND IT IS STARTING TO CLEAR . IT WOULD BE POSSIBLE TO FISH WITH A FLY TODAY IN CERTAIN AREAS (UPPER REACHES WHERE THERE ARE LESS FEEDER STREAMS). THE WEATHER IS DRY AND BRIGHT. THE RIVER BEGAN TO DROP YESTERDAY AFTERNOON, BUT HEAVY RAIN LAST NIGHT HAS MADE IT UNFISHABLE WITH A FLY. THE WEATHER IS DRY AND BREEZY. 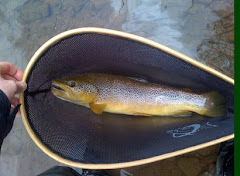 YESTERDAYS RAIN HAS FOUND ITS WAY INTO THE RIVER AND MADE IT UNFISHABLE WITH FLY. THE RAIN HAS STOPPED FOR THE MIN AND IT IS OVERCAST. THERE HAS BEEN A BIT OF RAIN , BUT NOTHING MUCH AND THE EDEN IS STILL LOW. THERE HAS BEEN A TOUCH OF RAIN OVERNIGHT , BUT NOTHING MUCH AND NO SIGN OF THE FORECAST RAIN ,YET!!! 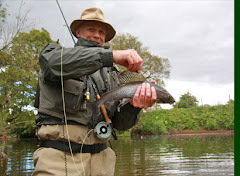 THE EDEN IS STILL RUNNING LOW , BUT GENERALLY FISHES QUITE WELL IN LOW WATER CONDITIONS. YESTERDAYS RAIN DID NOT AFFECT THE RIVER LEVEL, SO IT IS STILL LOW . THE WEATHER IS OVERCAST AND DRY. THERE HAS BEEN SOME RAIN OVERNIGHT , BUT NOT ENOUGH TO AFFECT RIVER LEVELS WHICH ARE STILL LOW. THE RIVER CONDITIONS ARE STILL LOW AND THE WEATHER IS DRY AND SUNNY. THE RIVER CONDITIONS ARE UNCHANGED AND IT IS DRY THIS MORNING WITH SOME PATCHY CLOUD. RIVER CONDITIONS ARE STILL LOWER THAN THE NORM AND THE WEATHER IS DRY WITH SOME PATCHY CLOUD. 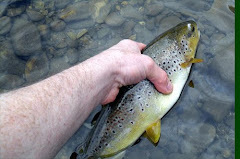 THE EDEN IS STILL RUNNING SLIGHTLY LOWER THAN THE NORM FOR THIS TIME OF YEAR ,BUT OK FOR A DAY ON THE RIVER. THE WEATHER THIS MORNING IS MISTY AND DULL. ANOTHER SUNNY DAY IN STORE AND THE EDEN IS RUNNING AT A FISHABLE HEIGHT. LOOKS LIKE ITS GOING TO BE A WARM/HOT ONE TODAY .THE RIVER IS STILL AT A GOOD FISHABLE LEVEL AND AT AN AVERAGE SUMMER HEIGHT (EVEN THOUGH ITS SPRING !!!). FEEL LIKE I'M REPEATING MYSELF NOW , BUT IT IS BRIGHT AND SUNNY AND THE EDEN IS STILL RUNNING WELL CONSIDERING THERE HAS BEEN NO RAIN FOR A COUPLE OF WEEKS. THERE'S HARDLY A CLOUD IN THE SKY AND THE RIVER CONDITIONS ARE STILL GOOD. ITS BRIGHT AND SUNNY THIS MORNING WITH SOME PATCHY CLOUD. THE RIVER IS STILL AT A NORMAL LEVEL. A CLOUDY MORNING , BUT DRY. THERE HAS BEEN NO RAIN TO SPEAK OF FOR THE LAST WEEK OR MORE , CONSEQUENTLY THE EDEN IS STILL RUNNING AT A NORMAL LEVEL. LOTS OF CLOUD THIS MORNING AND THE EDEN IS STILL RUNNING AT A GOOD FISHABLE LEVEL. THERES SOME HAZY SUNSHINE THIS MORNING AND IT LOOKS LIKE ITS GOING TO BE A NICE DAY . THE RIVER IS STILL RUNNING AT A GOOD LEVEL AND FISH ARE BEING CAUGHT (AND RETURNED). ITS COOL, CLEAR AND LOOKS LIKE ITS GOING TO BE WARM, BUT PERHAPS A BIT BRIGHT. 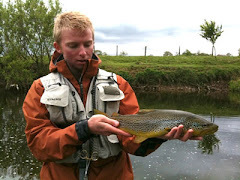 THE EDEN IS STILL RUNNING WELL AND PLENTY OF FISH ARE BEING CAUGHT (SEE RIVER REPORTS). CLOUDY START THIS MORNING, BUT LOOKS LIKE IT WILL BE SUNNY AND WARM LATER. THE EDEN IS RUNNING AT A GOOD FISHABLE HEIGHT. COOL START AND THE RIVER CONDITIONS ARE STILL GOOD. ITS A FROSTY, CLEAR MORNING AND THE RIVER CONDITIONS ARE SPOT ON. ITS A DRY,OVERCAST MORNING AND THE RIVER CONDITIONS ARE STILL GOOD. COOL, FROSTY AND CLEAR THIS MORNING. THE EDEN IS RUNNING CLEAR AT A PERFECT HEIGHT. THE EDEN HAS DROPPED BACK TO ITS NORMAL HEIGHT AND THE WATER HAS CLEARED. THE WEATHER IS CLOUDY AND BREEZY.